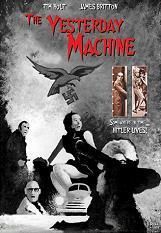 A Nazi scientist (Jack Herman) invents a time machine enabling him to go back to alter the events of WWII. Also stars Tim Holt and James Britton. Also with Ann Pellegrino, Robert Bob Kelly and Linda Jenkins.